Both sides affirmed that the bilateral relations between Serbia and Iraq are very good, but underlined the need for increasing cooperation in economic area, especially IT and Communication field. Minister of Communication Naeem Yousir said that during the wars Iraqi tele-communication infrastructure suffered a lot of damage and called Serbia to take part in rebuilding and modernizing process. He said that Serbia, not only as a regional leader, but a competitive player on the world stage, may immensely help Iraq. Ambassador Uroš Balov said that Serbia is ready to offer expertise and to work with Iraq through various programs and projects which will modernize Iraq. He said that in past years Serbia made tremendous progress in IT area and E-government and will continue to do that. Up to now Serbia allocated more than 100M Euros for infrastructure investment. During the meeting two sides discussed possibilities of Serbian participation in a project of modernization of post office system in Iraq. At the end of meeting Minister of Communication Naeem Yousir proposed the exchange of ministerial visits during 2019. On the occasion of the Statehood Day the Serbian Ambassador to Iraq H.E. Uroš Balov organized a reception at the Al Manosur Hotel great hall in Baghdad on Monday, 18h February. H.E. Uroš Balov and the Special envoy of the Iraqi Foreign Affairs Minsiter, dr Ali Cahem Chair, addressed the audience. During the speeches they emphasized the excellent bilateral relationship between two countries and underlined the opportunities for their further enhancement and development. The reception was also attended by Iraqi officials, business people, representatives in the field of culture, sports, media, as well as those with whom we have working cooperation. Also, our citizens who are in Iraq, including business people working on projects in Iraq and our citizens engaged in projetcs with Ministry of Defence were present. Furthermore, large number of former students in Serbia and ex-Yugoslavia also attended this celebration. Finally, there were representatives of the diplomatic corps, including representatives of regional and international organizations. In addition, representatives of the Iraqi Army also were present. Ambassador Uros Balov congratulated the Minister of Higher Education and Scientific Research, prof. dr Qusay Al-Suhail, on his recent appointment and wished him success in his work, especially given the importance of the department headed by him. He marked relations between the two countries as very good, pointing out that cooperation in the field of higher education is one of the most important segments in the long history of relations between the two countries. Also, he emphasised that there are many possibilities for improving cooperation. 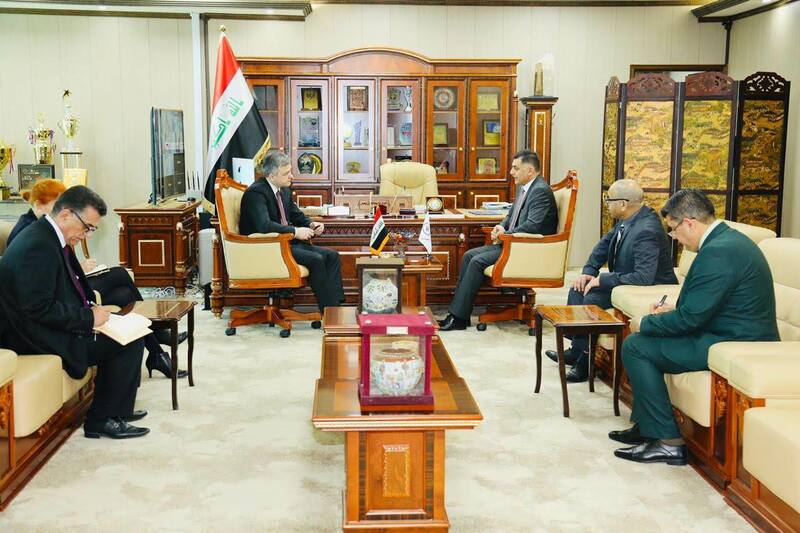 Al-Suhail said that Iraq enjoys good relations with the Republic of Serbia for a long time and there is the basis for strengthening relations in various sectors, including the system of higher education and scientific research. 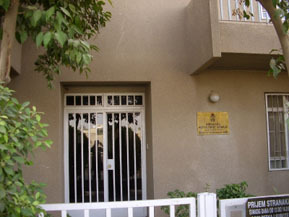 The Minister of Higher Education said that the ministry is keen to sign the Memorandum of understanding between the Universities of Iraq and Serbia to exchange experiences and provide fellowships for Iraqi students to study in Serbia. On behalf of the Serbian side ambassador expressed his country's readiness to expand scientific and cultural cooperation and provide facilities for Iraqi students wishing to study in Serbian universities.